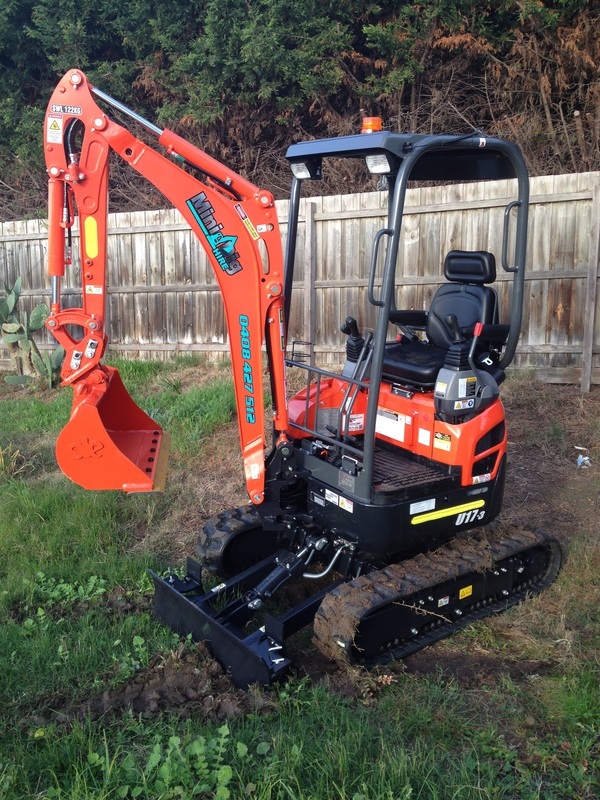 If its Mini Excavator Hire and Landscaping, espeacially Retaining Walls, around Melbourne your looking for, then you've come to the right place! MiniDig Hire provides a efficient, experienced, reliable excavation and earthmoving services, both Wet Hire and Dry Hire, and a Qualified Melbourne Landscaping/Civil construction service provides a wide variety of skill sets and knowledge. No project is too small or too large, we are well equipt to supply the general public or large scale commercial projects. Our Excavators are the highly reliable U17-3 Kubota's and regarded as the best machine in the market. Dry hire, both short and long term is offered to the public, trade and commercial sectors at extremely affordable and competitive rates. Wet hire our machines with a skilled operator. Our operators have trade backgrounds and are highly motivated. Their hands on approach and skills, offer a great value for money service. For current works, pictures and details please click the facebook button, like us, and stay up to date with latest offers and projects.